Periodontal disease is a serious chronic inflammatory oral condition caused primarily by the build-up in bacterial plaque as a result of inadequate oral hygiene and a genetic predisposition. It is common, affecting approximately 83% of adults in the UK. If Periodontal Disease is left untreated, the outcome is inevitably loss of all or single teeth. It is not long ago that people were wearing full dentures, luckily due to modern dentistry this is now quiet rare, but if you think you have gum disease, you have to take action. You cannot treat Periodontal Disease by yourself. Recent and accredited research show the existence of a strong correlation between periodontal disease and important systemic pathologies. The risk of worsening cardiovascular pathologies, diabetes, and premature childbirth is increased in patients with untreated periodontitis. Inflammation is a major risk factor for heart disease, and periodontal disease may increase the inflammation level throughout the body. This is caused by bacteria from periodontal pockets entering the bloodstream during chewing or tooth brushing resulting in pathogens circulating around the body. These pathogens then attach to blood vessels and increase clot formation. 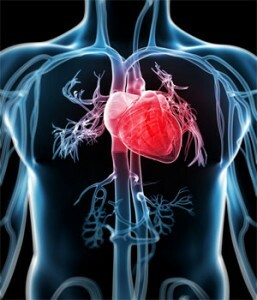 It has also been suggested that inflammation caused by gum disease may also trigger clot formation. Clots decrease blood flow to the heart, thereby causing an elevation in blood pressure and increasing the risk of a heart attack. A study completed by The Journal of the American Heart Association that investigated 657 people without known heart disease, found that people who had higher blood levels of certain disease-causing bacteria in the mouth, were more likely to have atherosclerosis in the carotid artery in the neck. 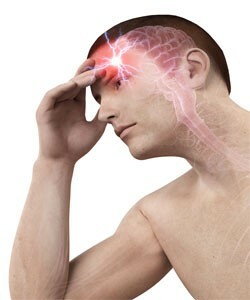 Patients suffering from periodontal disease are 3 to 4 times more likely to have a stroke. Because periodontitis is linked to atherosclerosis which is the hardening and narrowing of your arteries, it causes a slower blood flow restricting the blood supply to your brain and potentially causing a stroke. Blood clots usually form in areas where the arteries have become narrowed by fatty deposits. This is called atherosclerosis. A recent study found that bacteria from diseased gums can contribute to the formation fatty deposits in the blood vessels (atherosclerotic plaque) and thus contribute to the development of atherosclerosis. There have been links made between presence of periodontal disease in an individual and the increased risk of having a stroke. Recent findings suggest patients with arthritis are nearly 8 times more likely to develop periodontal disease. Periodontal disease was also a result of Rheumatic Arthritis itself, or the medications to treat it as the medications suppress the immune system inhibiting the body’s ability to fight harmful bacteria in the mouth. 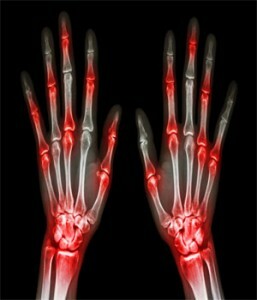 Arthritis is a painful condition characterised by inflammation and loss of mobility around joints. Sometimes severe bone damage occurs, causing disability of the affected joints. As discussed earlier, periodontal disease increases the level of inflammation throughout the body, which could be another reason why some people have an increased risk of arthritis if they have periodontitis. The gum disease causing bacteria enters the blood stream and settles in the synovial fluid that lubricates the joints triggering inflammation in the joints. Treating periodontal disease and associated inflammation also improves rheumatoid arthritis symptoms such as joint pain and inflammation. A large evidence base suggests that diabetes is associated with an increased prevalence, extent and severity of gingivitis and periodontitis. This means, if you have diabetes you are more likely to get periodontal disease and a severe form. Furthermore, evidence supports the role of inflammation as a major component in the causes of diabetes and diabetic complications. Treatment of periodontal disease may have a positive effect on the diabetic condition. The risk of developing both gingivitis and periodontitis may be greater in patients with diabetes who have a poor glycaemic control, than that in patients with controlled diabetes. 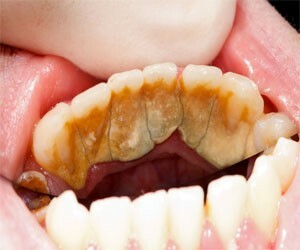 For smokers at 45 + with periodontal disease you are 20 x more likely to get severe periodontal disease. There are bacteria and inflammatory mediators that could disseminate systematically to the placenta via the blood circulation and induce to pregnancy complications. In the studies analysing healthy pregnant women and pregnant women with periodontal disease, research found women with periodontal disease 20 times more likely to develop obstetric complications such as dangerous high blood pressure, premature birth, low birth weight, miscarriage, and mortality.